The school has a very active Council, with children from Year 2 to Year 6 contributing to the success of the school. 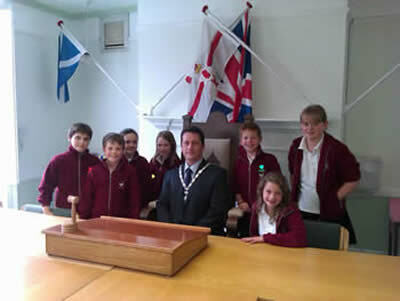 The 2011-12 School Council officers went to Wymondham to meet the Town Mayor. The Town Mayor then came to our school and he kindly allowed the children to wear the Chain of Office!